This is one of my absolute favorite comfort meals. The original recipe calls for rice, but the quinoa is just as delicious WITH added health benefits! 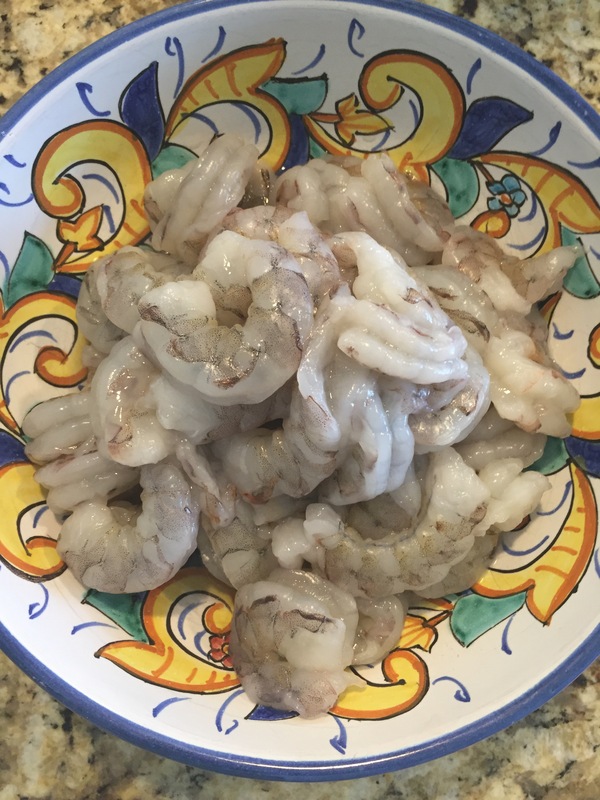 Begin with 1.5-2lbs fresh shrimp, peeled and deveined. 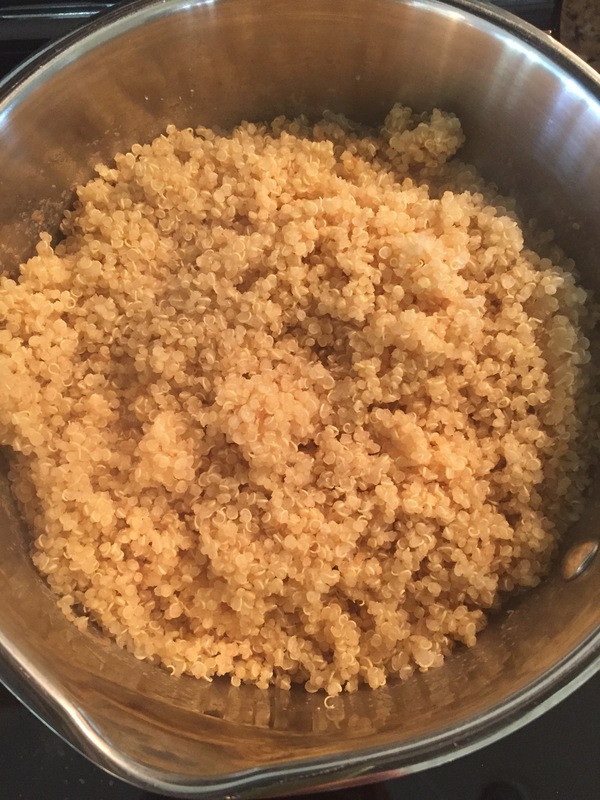 To make the perfect quinoa every time, combine 1 part quinoa to 2 parts chicken broth and bring to a boil. Cover, reduce your heat to low and simmer for 25 minutes (don’t take the lid off!). This recipe uses 1 cup dried quinoa/2 cups broth. 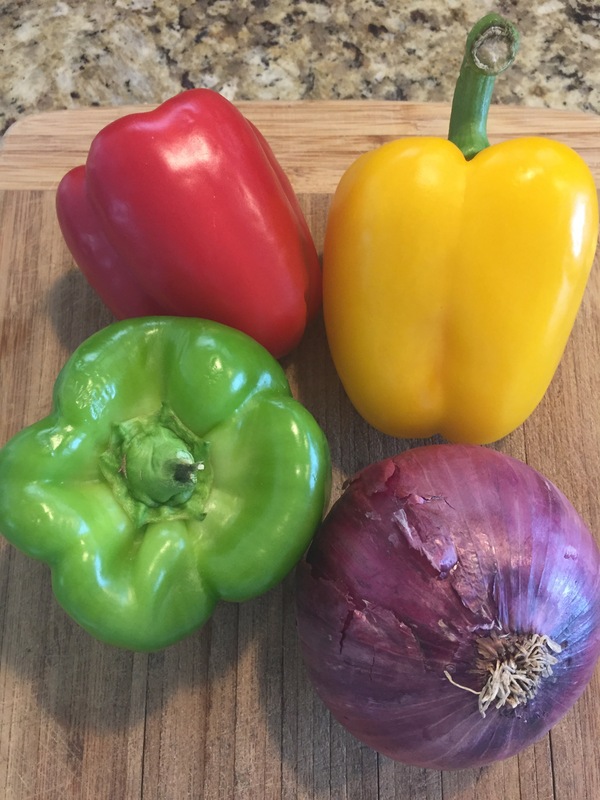 Next, chop 1/2 of the following: Red pepper, yellow pepper, green pepper, and red onion. Melt 1/4 cup of butter (or sub EVOO) over medium high heat in a large sauce pan. 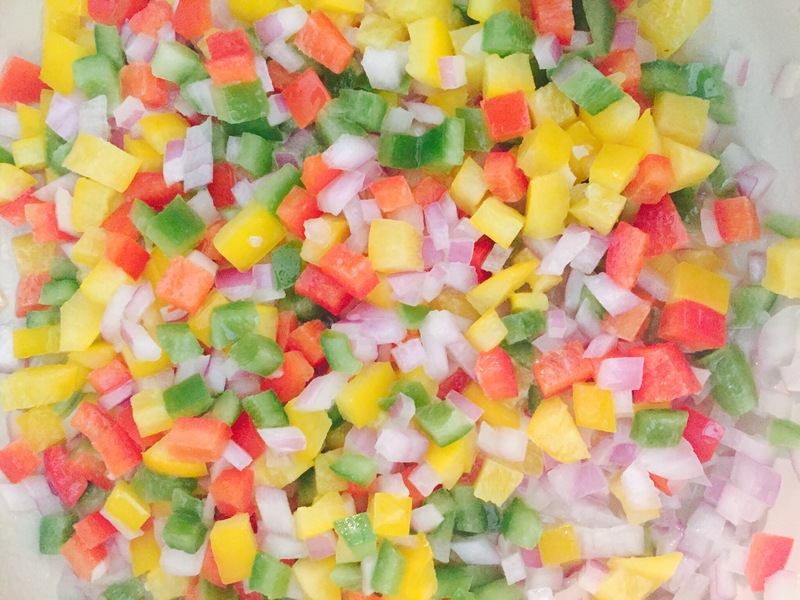 Toss in your veggies and sauté for 7 minutes or until tender. Now add in a pint of sliced mushrooms with 4 cloves minced garlic and a tablespoon of lemon juice and sauté for 5 more minutes (you can also add okra here but my husband isn’t a huge fan). 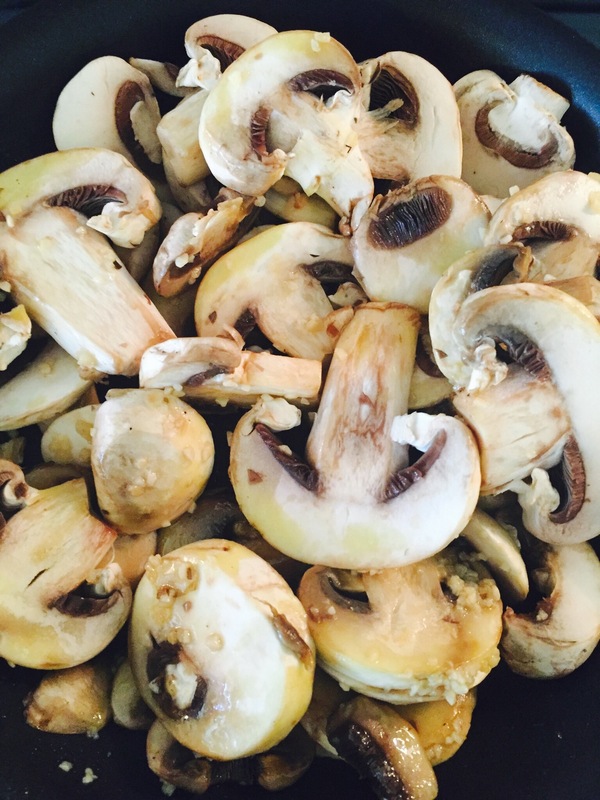 I forgot about my mushrooms, so I sautéed them separately, oops! Next you are going to add in your shrimp and cook for 3-4 minutes until they turn pink. 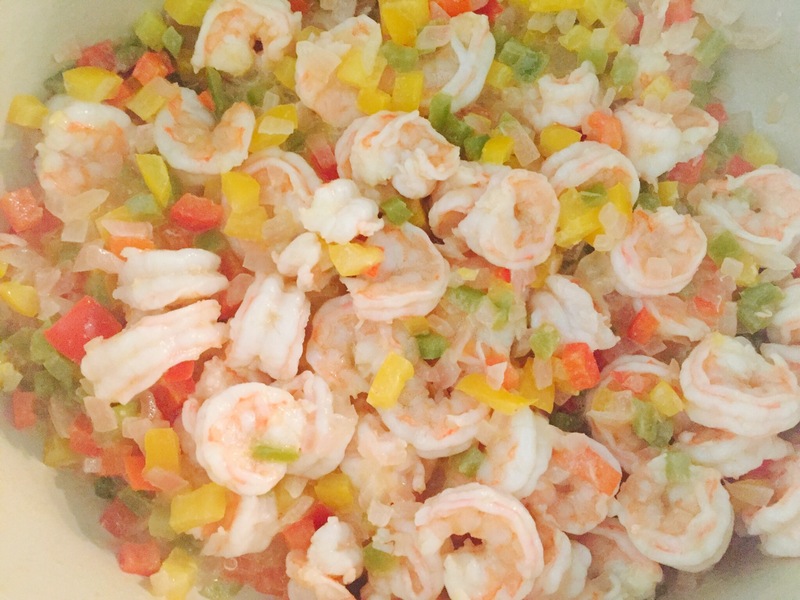 Finally, stir in a can of Cream of Shrimp soup, half a cup of white wine, 1 tablespoon soy sauce, 1/2 teaspoon of cayenne pepper, and your cooked quinoa. 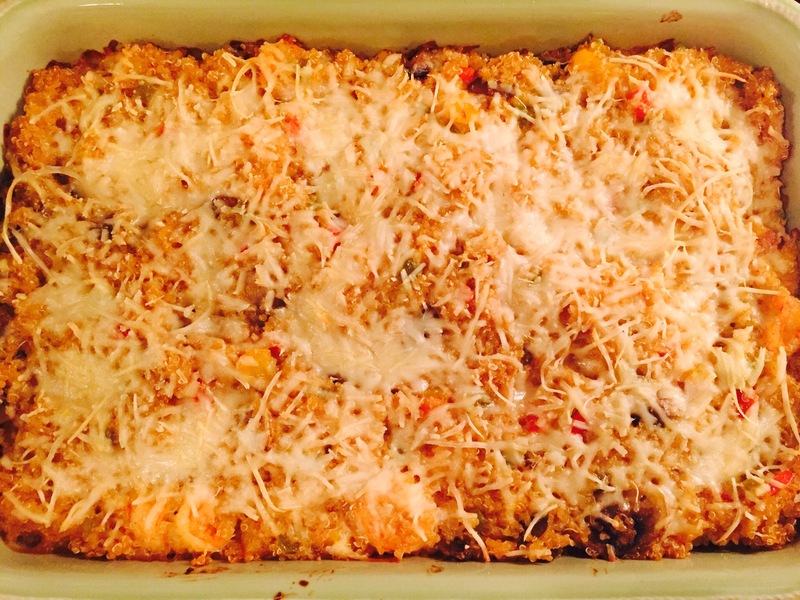 Transfer to a baking dish and top with shredded parmesan. Bake at 350 for 20 minutes. I serve this with a mixed green salad. Enjoy!